The students explore and test their dance and movement skills, becoming aware of their bodies using their own creativity as well as through choreographed routines and music interpretation and appreciation. Their dramatic ability is explored through improvisation, role-playing and characterisations. All students are given the opportunity to display specific talents or their own dramatic and movement ideas. This course is a prerequisite to the Stage Awareness / Performance Skills Course. Students are involved in auditions, script discussions, character proposals, rehearsing, theatre etiquette and organisation, voice projection, costume ideas and development, make-up techniques and the expectation of a professional attitude towards the show and all cast members. This course leads to the production of a professional stage musical. 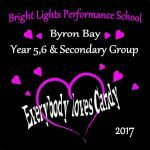 A new addition to the Bright Lights program is Musical Theatre. 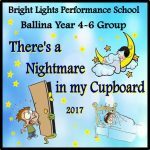 These classes are held at Ballina. Students are introduced to the basic art of Musical Theatre; singing, dancing and acting simultaneously. In addition, students will learn warm-ups and exercises to improve basic techniques in all three disciplines. Students will learn the art of the audition process and will participate in an audition for the final production. Work throughout the program will be directed towards the final musical production. There are two courses in our Musical Theatre program. The first course is Musical Theatre Basics and runs for 12 weeks. The second course is the Stage Show and Performance and runs for about 16 weeks. The second course culminates with a musical. 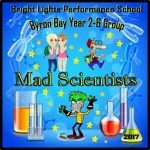 Bright Lights conducts holiday workshops for primary and secondary age students. These workshops are a mixture of singing, dancing and acting with the emphasis on singing. Each workshop lasts for 4 days and concludes with a performance. 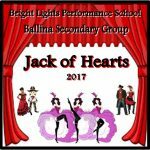 Each student is involved in a minimum of 5 performance items; the opening number, 2 musical theatre items, 1 play and the dance finale. The aim of the workshop is for the students to have fun, to be creative, to interact with and support other students, to raise self-esteem, to improve their focus and concentration, to advance their acting, singing and dancing skill levels and to be involved in performance. 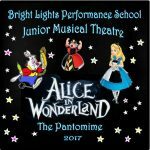 The Bright Lights holiday workshop employs 4 professional teachers. The students are rewarded with exposure to different styles and techniques. 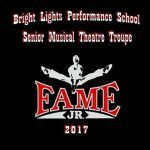 Throughout the first three days students are placed in age-based groups and are rotated through the daily program of 2 sessions of musical theatre and 1 session of drama. There is also a session of dance, which involves all students performing at their ability level. One of the most rewarding aspects of the holiday workshop is the interaction of the students from all age levels, especially the way the older children care for the younger members of the troupe. The students learn an incredible amount in four days and their level of performance is amazing given the short time to absorb new material, raise their skill level and focus on their performance. However, the main emphasis of the program is student enjoyment and teacher and peer support for all individuals and each item.